Garcia Moreno sacrificed his life to uphold his Faith and the honor of his country. After his re-election to the presidency, his enemies, the Freemasons and Liberals, determined to have him killed.1 When rumors of attempts on his life were told to him, he was calm and did not become apprehensive like Elizabeth I of England.2 On August 6, 1874, Garcia Moreno received Communion and attended Mass for the last time.3 He entered the Cathedral around noon to pray. The assassins became impatient. One entered and told him that urgent business awaited him. Upon leaving the Cathedral, the murderers fell on him. One cut him with a cutlass while the others emptied their revolvers into him. Since his coat was buttoned up, he could not reach his revolvers and defend himself.4 As the assassins were preparing to make their escape, one said, “Die, destroyer of liberty.” Garcia Moreno responded with the phrase “God never dies.”5 He was moved to a nearby house where he received Extreme Unction and then died.6 His attitude towards death and his final words show that his religion penetrated the depths of his soul. As it had expressed itself in other actions, it also manifested itself at the hour of his death. Garcia Moreno’s Catholic character shone especially bright in the relations that he established with the Church and the Papacy. 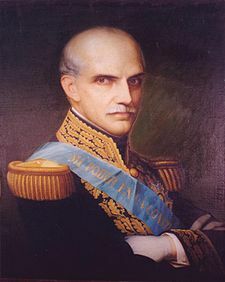 When the Papal States were taken over by Victor Emmanuel, all of the powerful states of Europe were silent.7 As president of Ecuador, Garcia Moreno sent a circular letter to those countries protesting their indifference and offering his aid to the Pontiff.8 During his presidency, he also made a Concordat with the Holy See. It gave the Church all of her traditional rights and abolished the abuses that had begun under the prior anti-Catholic government.9 This action along with the recalling of religious orders, which had been expelled by the previous rulers of Ecuador, excited the anger of the Liberals and Radicals.10 Especially for these reasons, the Liberals sought his death.11 These actions are those of a Catholic who is willing to sacrifice his position, fortune, and even his life for the Church. His loyalty to the Church did not tarnish in any way his patriotism. One other important characteristic that shows his virtue is his patriotism. Patriotism is a virtue that involves loyalty to country and working for its good.21 While Garcia Moreno was president, he bettered the country both spiritually and materially, as was shown above. His actions as president of the Republic of Ecuador were both charitable and just. He has a balanced view of life, which is a quality of temperance.22 Garcia Moreno has not been canonized, so one could say that he does not deserve such praise. But if no one speaks or writes about him, he will never become well known. As the enemies of the Catholic Church persecuted Garcia Moreno throughout his life, we know they hated him. They finally killed him because he was a “Destroyer of Liberty.” Truthfully, he only destroyed the liberty that the Freemasons and liberals had used to attack the Church. He did not give freedom to evil. In the country he ruled, only the good had freedom. For this reason, the enemies of the Church hated him and eventually killed him. Even when faced with tremendous difficulties, Garcia Moreno was not discouraged. The intransigence of his position is an example for Catholics who are faced with the corruption and pressure of the modern world. His heroic death, his loyalty and good relations with the Papacy, and the good he did for Ecuador while he was president show that he was a true Catholic-leader. He ruled Ecuador justly, established order and peace, and expelled the enemies of the Church. His actions show that he was a Catholic in every aspect of his life. In regards to the Papacy, he had the strong loyalty that is characteristic of a good Catholic. Finally, his death came as a result of practicing his religion. By seeing Garcia Moreno’s integrity and strength, we have an example. 1 Mrs. Maxwell Scott, Gabriel Garcia Moreno Regenerator of Ecuador (Omaha, Nebraska: Help of Christians Publications Inc., 1914. ): p. 53. 2 Anne W. Carroll, Christ the King Lord of History (Rockford, Illinois: Tan Books and Publishers, Inc., 1994. ): p. 261. 3 Mrs. Maxwell Scott, p. 55. 7 Thomas Bell, “Garcia Moreno, Defender of the Papacy,” Crusade for a Christian Civilization, December 1979: p.43. 8 Garcia Moreno, Cartas de Garcia Moreno (Quito, Ecuador) excerpted from Tradition, Family and Property Magazine, October 1993: p.20. 9 Hubert Herring, A History of Latin America (New York: Alfred A. Knope, 1969. ): p. 580. 10 Mrs. Maxwell Scott, p. 23. 16 Hubert Herring, p. 581. 18 Plinio Correa de Oliveira, Revolution and Counter-Revolution (York, Pennsylvania: The American Society for the Defense of Tradition, Family and Property, 1993. ): p. 86. 19 Hubert Herring, p. 581. 20 The Douay-Rhiems Version, The Holy Bible. The Gospel of Saint Matthew. (New York: P.J. Kenedy and Sons, 1826.) Chapter 6: verse 18. 21 Father John Laux, M.A., Catholic Morality (Rockford, Illinois: Tan Books and Publishers, Inc., 1990. ): p. 151. 22 Father John Laux, M.A., p. 29. 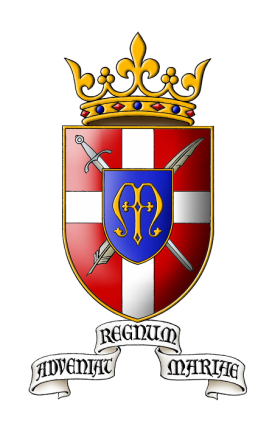 23 Plinio Correa de Oliveira, Nobility and Analogous Traditional Elites in the Allocutions of Pius XII (York, Pennsylvania: Hamiliton Press, 1993. ): page 86. 24 Mrs. Maxwell Scott, p. 13. Bell, Thomas. “Garcia Moreno, Defender of the Papacy.” Crusade for a Christian Civilization, December 1979: p.43. Correa de Oliveira, Plinio. Revolution and Counter-Revolution. York, Pennsylvania: The American Society for the Defense of Tradition, Family and Property, 1993. Carroll, Anne W. Christ the King Lord of History. Rockford, Illinois: Tan Books and Publishers, Inc., 1994. The Douay-Rhiems version, The Holy Bible. The Gospel of Saint Matthew. New York: P.J. Kenedy and Sons, 1826. Herring, Hubert. A History of Latin America. New York: Alfred A. Knope, 1969. Laux, Father John, M.A. Catholic Morality. Rockford, Illinois: Tan Books and Publishers, Inc., 1990. Moreno, Garcia. Cartas de Garcia Moreno (Quito, Ecuador) excerpted from Tradition, Family and Property Magazine, October 1993: p.20. Scott, Mrs. Maxwell. Gabriel Garcia Moreno Regenerator of Ecuador. Omaha, Nebraska: Help of Christians Publications Inc., 1914. To Be or Not to Be Monarchist? That is the Question!